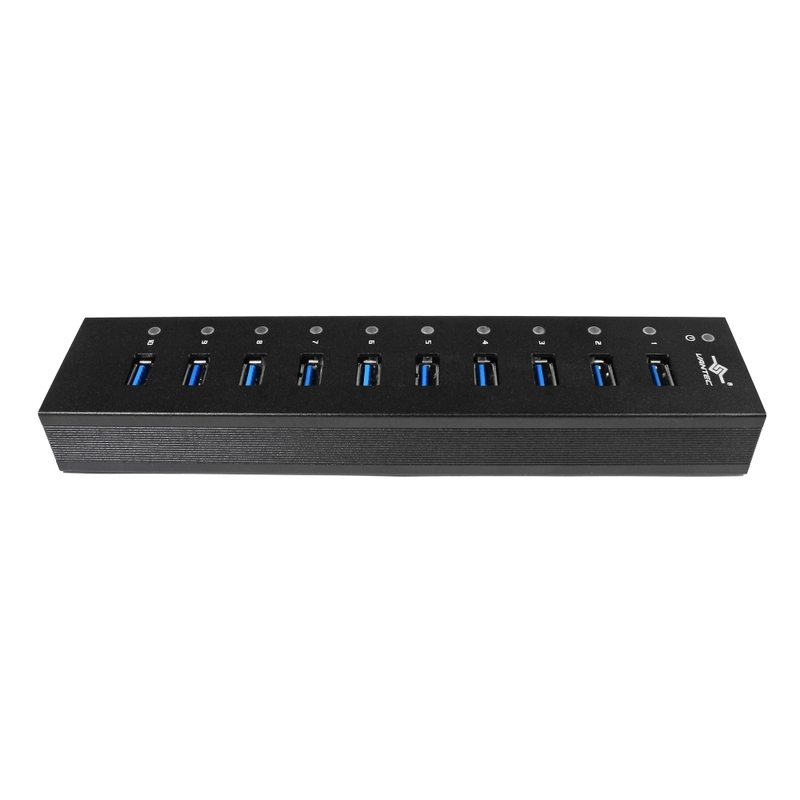 The Vantec Link 10-Port USB 3.0 Aluminum Hub is a simple and easy to use hub loaded with many features. 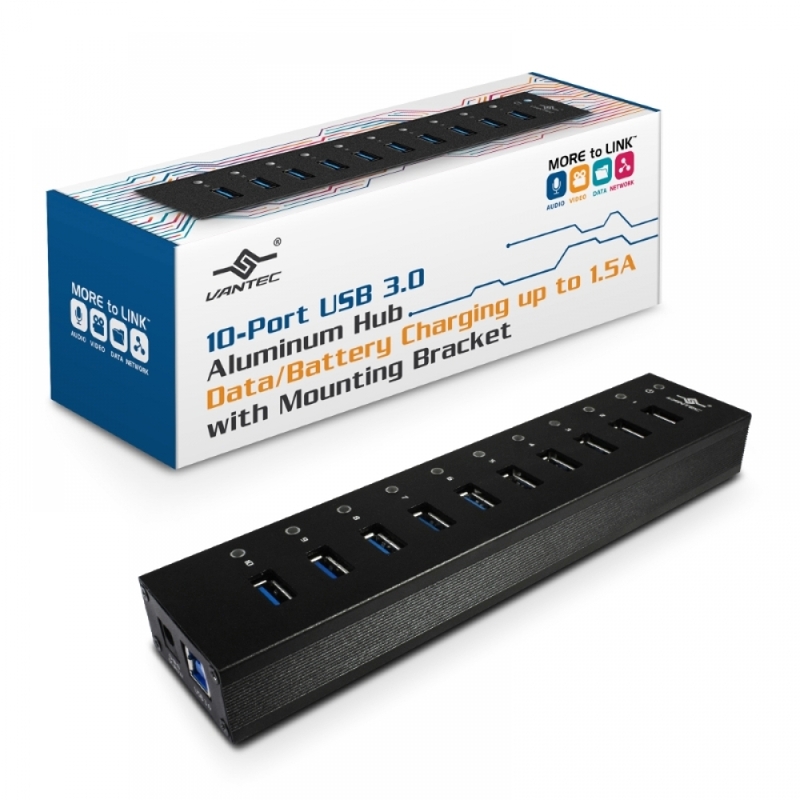 This ergonomically designed Hub uses strong but light-weight machined aluminum casing for toughness. 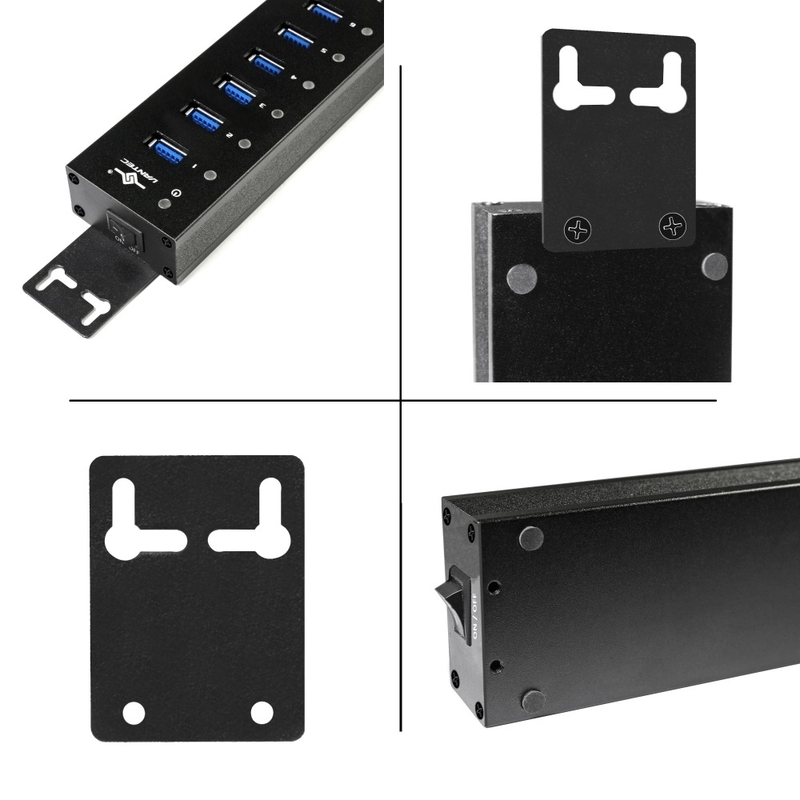 It can be placed on the office desk, mounted on the wall/desk (comes with mounting kit), or in a production setting in factory or rack using DIN mount. 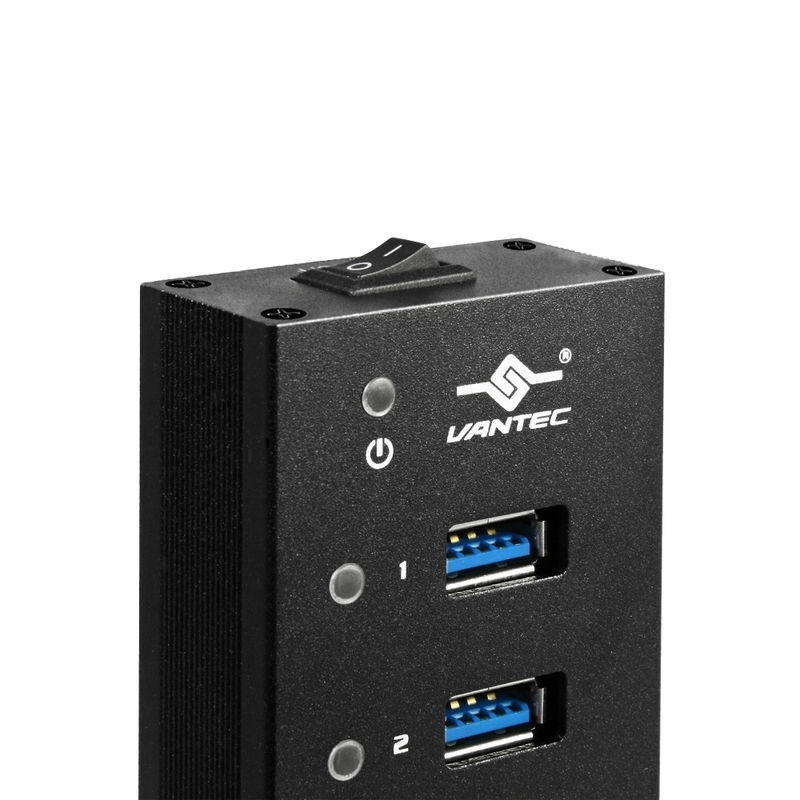 It is easy to connect and charge USB devices; consolidate them together in one convenient place on your workspace. 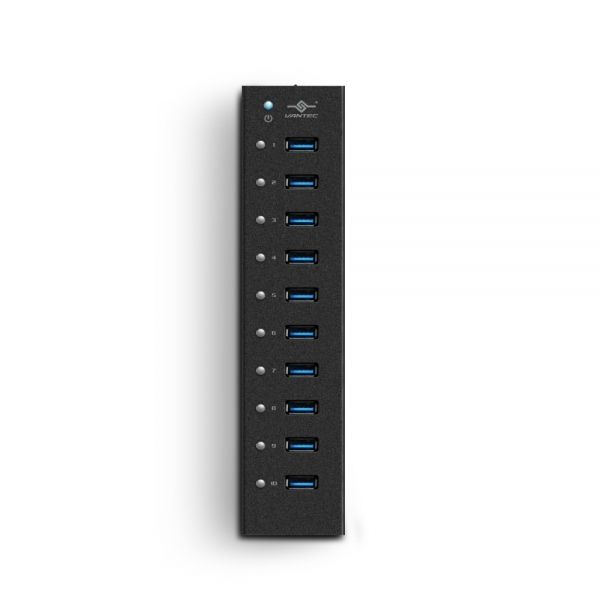 All 10 SuperSpeed ports support Data/Charging BC 1.2 up to 1.5A designed for the fastest charging and still enables access to your data simultaneously. 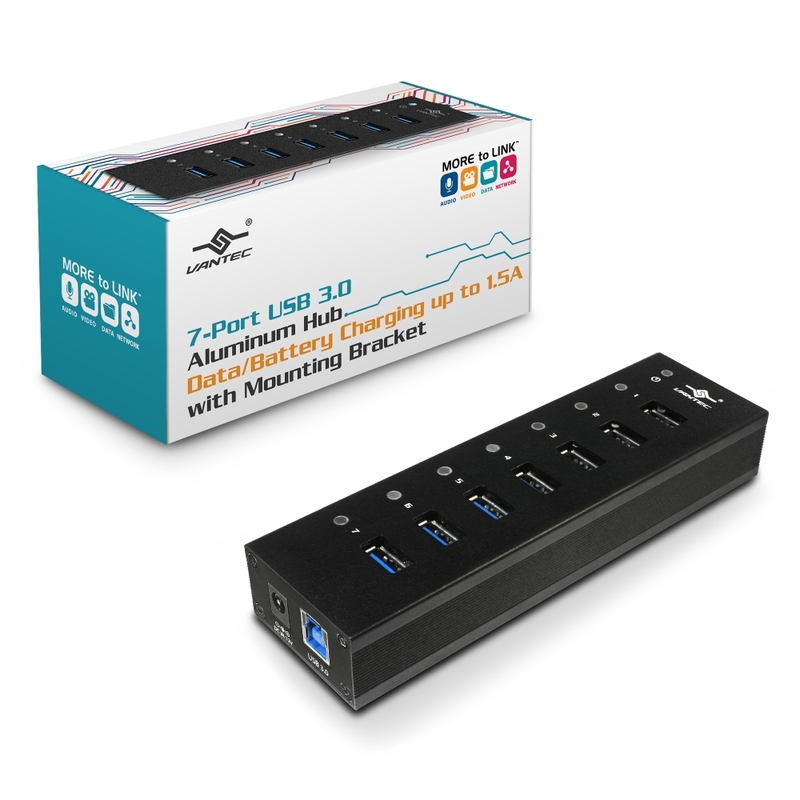 This Hub with its Certified Power Adapter gives you the ability to connect and fully load up all the 10 ports simultaneously to use the maximum Power for every port and at the same time provide over voltage, over current and overheat protection. 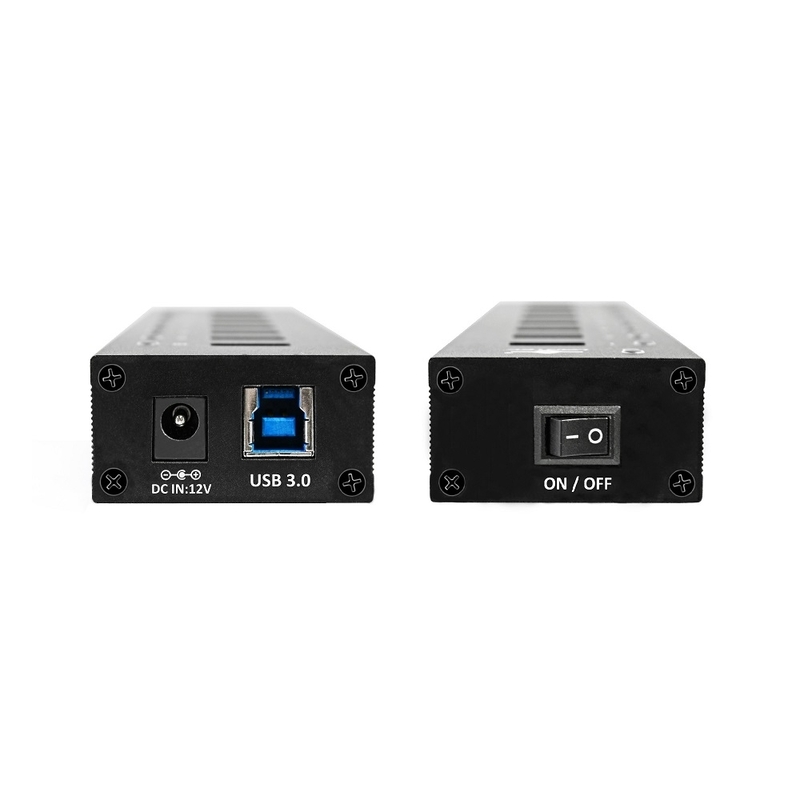 When not in use, this energy efficient power adapter sips very little power to save energy and when using with the latest OS, the USAP function further enhances the SuperSpeed USB capability. 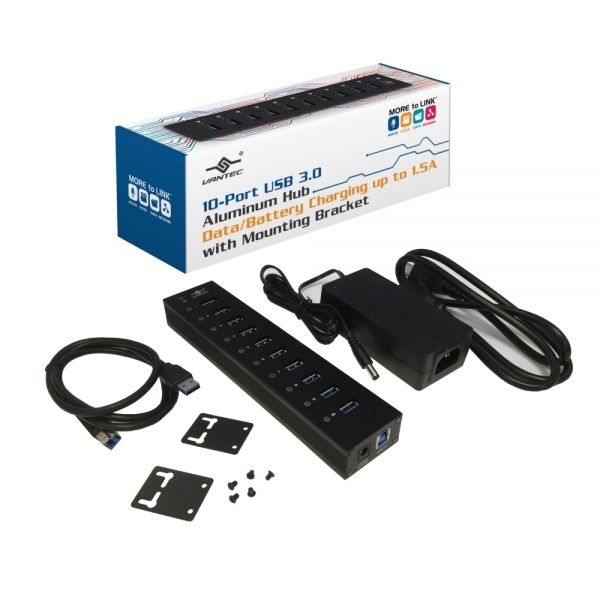 This Plug and Play hub will simplify, save time and help speed up data transfer between your devices.